Diamond’s New Office Banner – Good Job Guys! 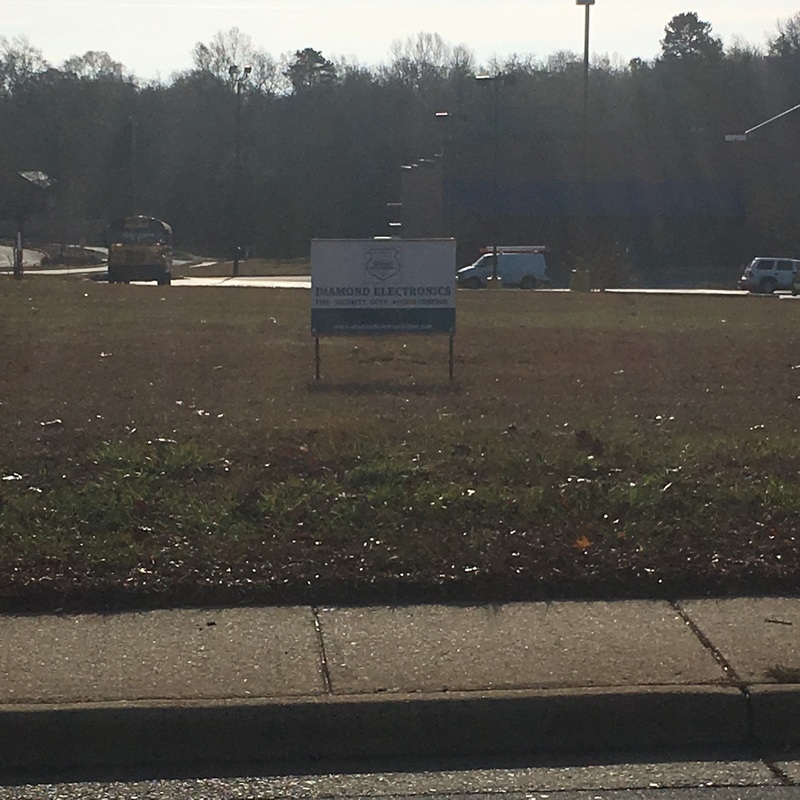 Diamond Electronics fire alarm, security alarm & video surveillance system is underway for The Praising Place Church Of God’s new location at 5268 N. Sharon Amity Road, Charlotte. With the holiday’s right around the corner, it is imperative to be aware of the rise in home invasions and burglaries during these festive times. In these times of celebration with your close family and friends, whether you are staying in town to host an occasion of your own or travelling afar to visit loved ones so dear, it is a good idea to think about protecting your home from the types of criminal activity the holidays can bring. Diamond Electronics is here to assist you in protecting the things that are most important to you. We offer the most up to date technology with an array of security devices which when installed will protect you, your family/friends, your home and belongings from intruders. 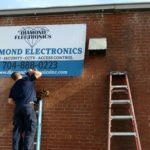 Along with top of the line security equipment, you can rest assured that our friendly, top notch service will be what sets Diamond apart from other companies in our industry. Our technicians are very knowledgeable of the systems that we install and they will answer any questions you may have. You can trust Diamond with all of your security needs whether for your home or business. 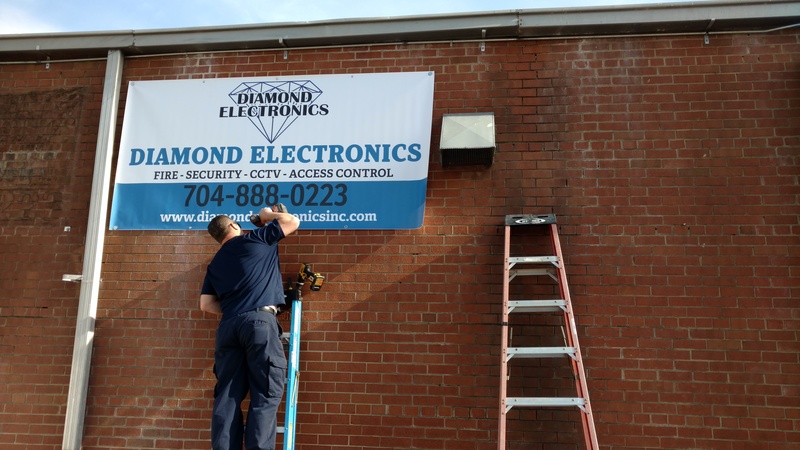 Contact Diamond Electronics today to discuss your security needs and options with us. 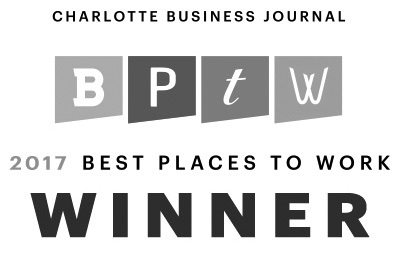 We are conveniently located in Locust NC and service Charlotte NC and surrounding areas. Wishing you all the Best this holiday season has to offer! More commonly now than in years past, Security equipment and surveillance cameras are being used in aiding authorities in tracking down suspects and people of interest in a wide range of criminal activity such as theft, burglaries, robberies and kidnappings. This equipment doesn’t have to necessarily be on the premises of where the actual criminal activity takes place, but could likely be used on or in surrounding homes, offices and places of business. Furthermore, this equipment is an imperative tool in not only getting an adequate description of the individuals involved, but also the vehicles used by the individual(s) in question. Recent stories, making national news, have shown where footage pulled from security cameras have helped to save abductees and return them home to safety. In addition to the security and surveillance cameras, investigators have been able to use GPS tracking devices to locate said vehicles used in cases of abduction and kidnappings. These devices used for GPS tracking were previously installed in the vehicles of problem customers and then later can be used to find the vehicle in an instance of possible repossession. Similar tracking devices are used by business owners and management to keep track of their company vehicles and company property. Diamond Electronics Inc offers a wide variety of security and video surveillance options for your home or business. We can also provide GPS Tracking devices for your company property such as company vehicles and even for your new teen driver who you are sending out on the road for the first time. Contact Diamond Electronics today to speak to us about how these options can be of benefit to you. 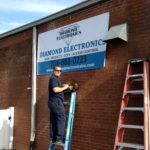 Diamond Electronics is located in Locust NC and services Charlotte NC and surrounding areas. Diamond offers a variety of products for your security needs. We recommend products from top manufacturers in the industry. Diamond also recommends a thorough walk-thru evaluation of your home to ensure the individual and unique needs of your home are met. Upon the completion of your home security installation, you will want to have your security system monitored. When your security system is monitored by our central station, a team of highly trained professionals will stand by to respond to all alarm signals and notify the proper authorities and law enforcement immediately. Also, Diamond offers an affordable monthly monitoring rate which only requires a 30 day written cancellation notification. At Diamond, you are not “locked” in to any type of contract. We simply customize a system to fit your unique needs and budget. Once the system is installed, we continue to build the relationship through our quality service and our top notch technical team. 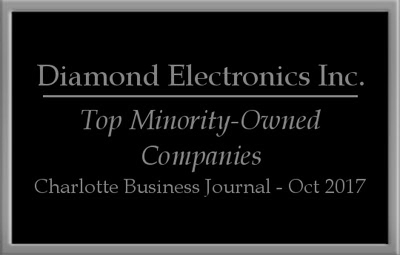 Diamond Electronics Inc is located in Locust, NC and services Charlotte NC and the surrounding areas. 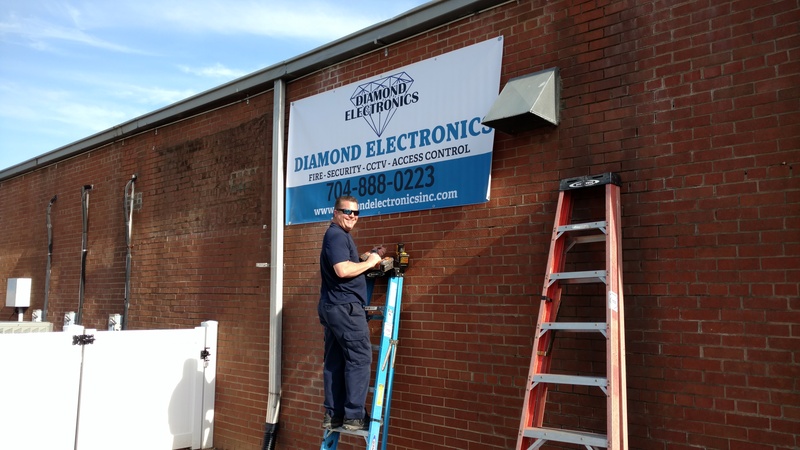 Diamond Electronics, Inc. has been a proven leader in the fire and security protection system industry since 1996. Diamond’s portfolio consists of warehouses, government facilities, schools, churches, hotels, residential multi-family buildings, as well as many other facilities. Diamond’s installation and service teams are experienced, high performing, safety driven and professional. Diamond’s vast industry experience allows our team to design, install, service, inspect and maintain fire and security protection systems that you can rely on. 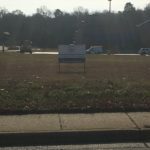 Copyright © 2019 Diamond Electronics, Inc.